Formica laminate countertops have made significant changes to their design, making them more appealing than ever as an option. Those changes resulted in a much larger selection of beautiful and luxurious patterns and designs. Many of these new choices perfectly mimic the look of pricey stonework. Like most materials, there are different grades available in a variety of price points, but laminate remains one of the most affordable choices you have. Unlike stonework which can require specialized fabrication, this installation-friendly material can be installed quickly and easily. 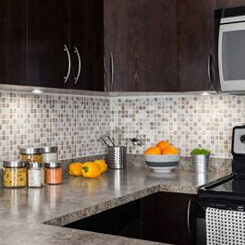 Ask the designer you are working with about decorative edge choices available for Formica laminate countertops. These options can mimic what you will see in higher end stones. Not only are they attractive throughout the space, but if you are installing on an island, they can add a stunning finishing touch. What you see in the magazines and on television may be beautiful, but take the time learn about all the options you have for your Tulsa area home for both style and budget. 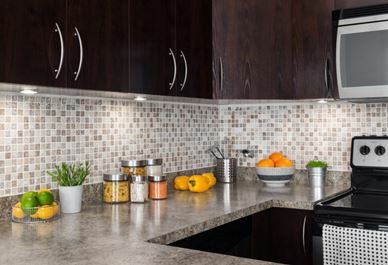 That does not mean granite, marble or quartz should not be on your list of choices and could be the right option for your home, it is about taking the time to see all the products on the market today. So, if you think you know what laminate countertops look like based on what was offered a few years ago, you may be pleasantly surprised about all the advancements you can benefit from. With so many great materials on the market, working with an expert can guide you through the options you have. The team at Timco is experienced helping homeowners with remodels from choosing finishes through installation.